A few years ago I’d eaten my very first bowl of real Japanese ramen. This wasn’t the sad, dry block of ramen in a plastic bag with a small packet of spices. This was the real deal, and I savored every last drop of soup, every single noodle. 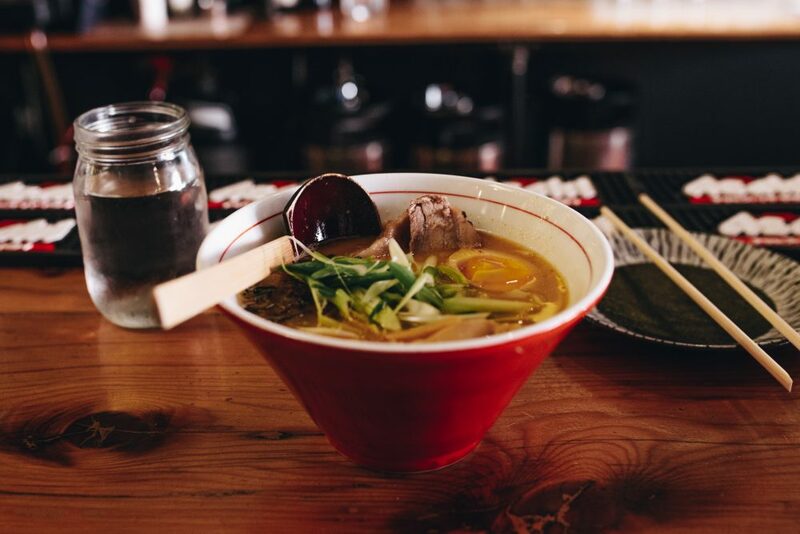 A traditional bowl of ramen consists of 3 key things: a rich “tonkotsu” soup base extracted from simmered pork bones, slices of marinated braised pork belly – also known as “chashu,” and thin noodles that are either thin or wavy. Although traditional ramen may seem “gourmet” in comparison to grocery store noodles, the price isn’t gourmet at all. A single bowl can range anywhere between $7 -$11, making it a very inexpensive dine-out option. If you’re at your breaking point with prepackaged noodles, it’s a must for you to indulge in traditional ramen. Here are my top 10 ramen houses in Southern California, and continue reading to see a Vegas favorite. Orange Tei specializes in various Japanese dishes from chicken kaarage (Japanese fried chicken) to sushi, and they also serve authentic Japanese-style ramen. Pair it off with one of their fruit sake cocktails and you’ve got one satisfying meal. Although Orange Tei’s ramen may be delicious, paying $11-$12 for a single bowl and having to fight the crowds at Anaheim’s Packing District might make this bowl of ramen difficult to get your hands on. Kopan‘s ramen menu may be extremely simple and modest, but its broth is packed with umami. You have a choice of bowl sizes, types of meat (either pork or chicken) and your toppings, so this is a simple and perfect match for someone trying Japanese ramen for the first time. Kopan also serves poki bowls, sushi, and even macaron ice cream sandwiches for dessert. 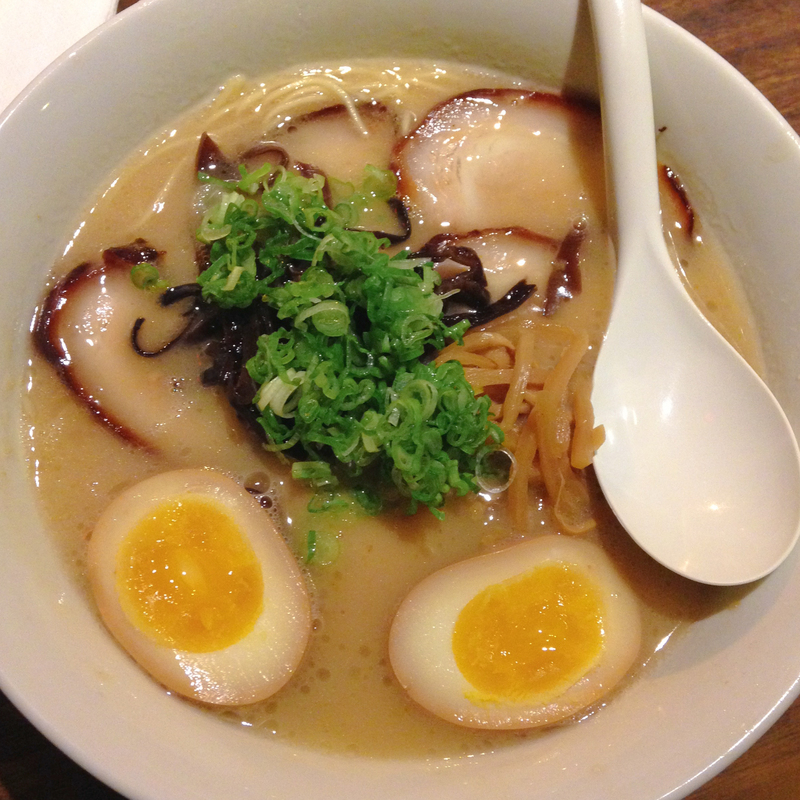 Daikokuya‘s famed tonkotsu broth boasts an incredible amount of flavor. 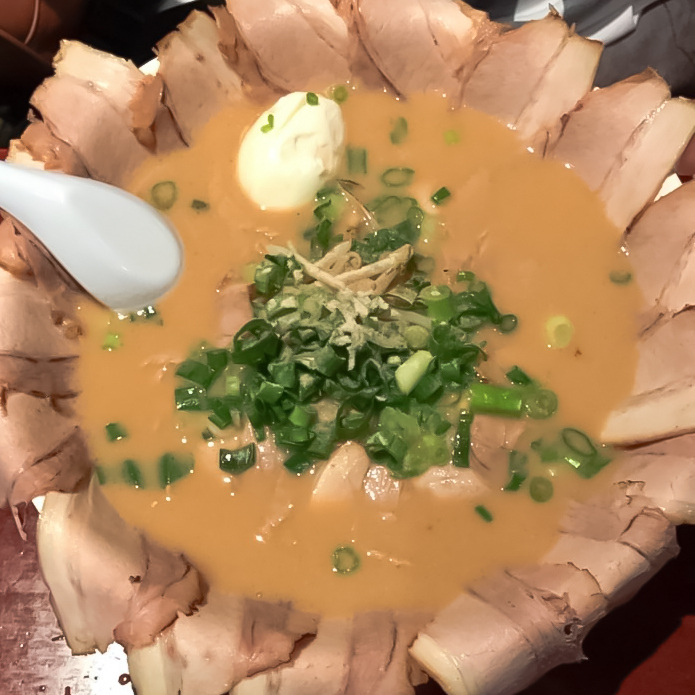 Although their ramen menu only offers only their original daikoku ramen and spicy miso, Daikokuya’s point of difference is their option of making your ramen bowl “kotteri style,” which adds an even more rich flavor from the back fat of the pork. This broth is extremely rich and savory! Unfortunately, with over 6,000 Yelp reviews on their Little Tokyo branch alone, it can be extremely tough to get seated. Plan on waiting 2 hours for a party of 4 or more. 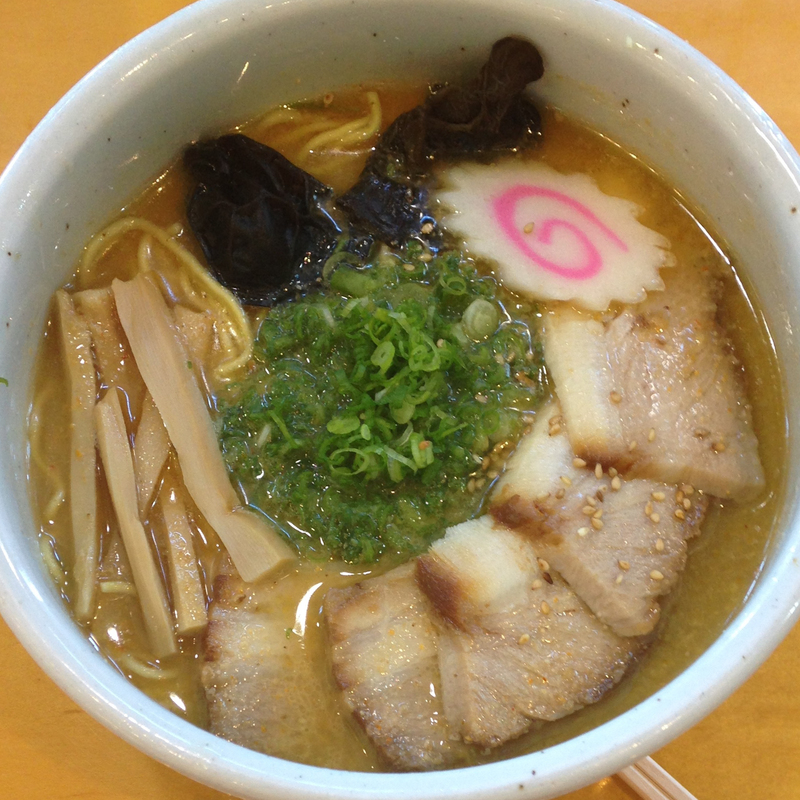 Maruya is the ramen place for people who can appreciate a beautifully presented bowl of thinly sliced chashu pork. Unlike the surrounding specialty Japanese restaurants in Little Tokyo, I have always gotten seated within 5 minutes or less at Maruya thanks to their large amount of seating. Maruya serves a wide variety of Japanese dishes like sushi and bento boxes. If your date doesn’t love ramen as much as you, they’ll have plenty of options to pick from. 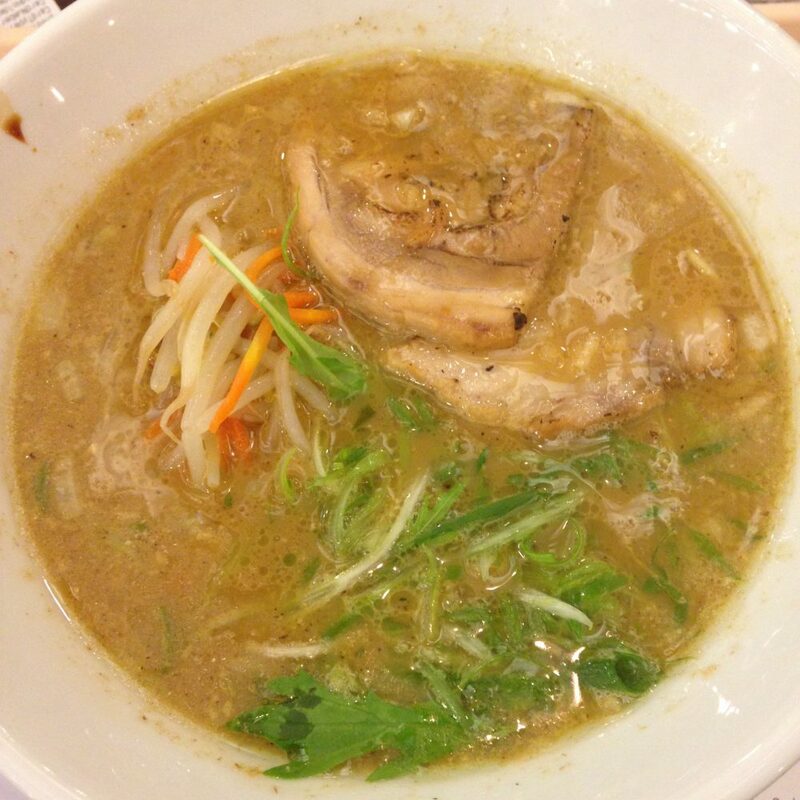 Ramen Yamadaya‘s ramen bowl consists of an extremely creamy and thick broth and thinner, chewy noodles to pair. I’m not a fan of their pork as they don’t use the fattier cuts, but their rich, oily broth and unique noodles make up for this. An extra perk for students: bring your student ID and get an extra serving of noodles! Ramen Yamadaya also features a vegan ramen bowl, which I think is incredible considering how meat-dependent traditional ramen is. 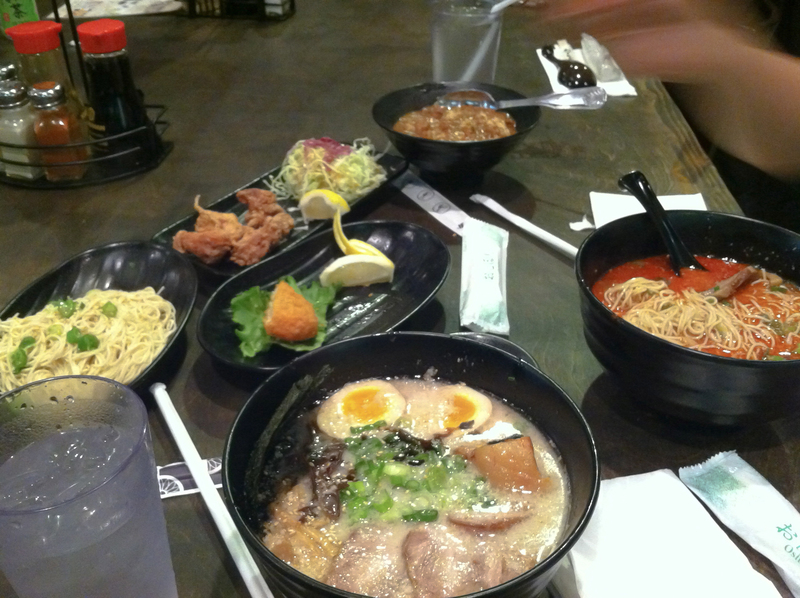 Fujin Ramen is most suitable for people who believe that meat is the best part of their ramen. Their popular Chashu Trio bowl features 3 thick pieces of pork to pair with your option of thin, medium-wavy or medium-straight noodles. Another popular menu item is their ramen burger, which uses fried ramen blocks as burger buns. It’s a very interesting plate to try if you haven’t already! 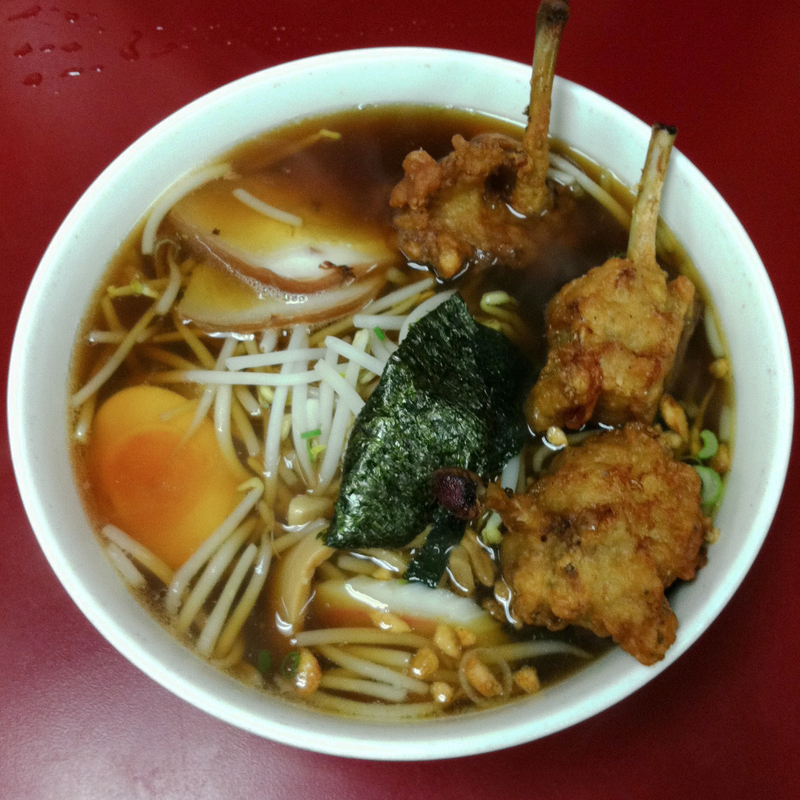 I personally refer to Foo Foo Tei as the Baskin Robbins of ramen – they have 31 different types of ramen to pick from, from their Torikara Fried Chicken Ramen to their popular Nanchatte Tonkotsu Ramen – a creamy, milky and slight sweet soup. For only $3 more, you can get a large portion of ramen, which is practically a salad-sized bowl. My friend and I couldn’t finish one together and agreed that we may have just barely finished it with a 3rd person. Foo Foo Tei’s full menu is several pages long and features a huge variety of traditional Japanese dishes you may not see often at most Japanese restaurants, like lotus root with miso or deep-fried monkfish. Nothing satisfies my soul as much as a bowl of Santouka Ramen. There is something about their broth that is so flavorful and definitely hits the spot the same way my mom’s cooking does. Or maybe it’s because Santouka branches are located inside Mitsuwa grocery stores and shopping for food makes you crave a good meal. 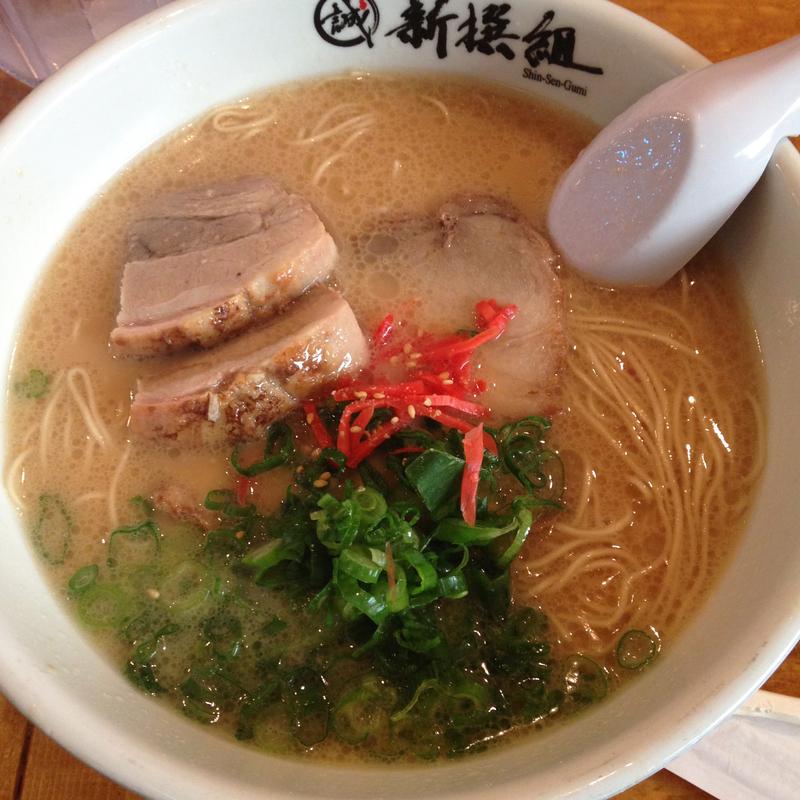 Shin-Sen-Gumi’s ramen is the closest to perfection. Their noodles are cooked perfectly each time, and their broth is a wonderful amount of salty delicious umami. 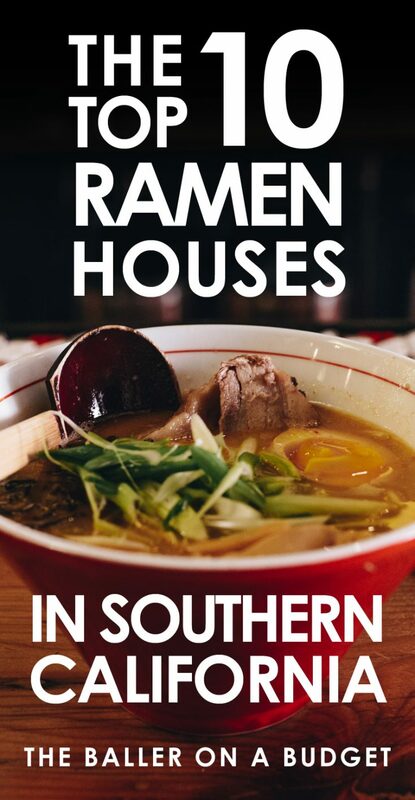 This is the place to go to for ramen in Southern California, and with several locations across Los Angeles County and Orange County, you might not be too far from one. Okay, I know this post was supposed to featuring only ramen restaurants in Southern California, but I would honestly drive to Vegas to get a bowl of this soup. I frequently visit Vegas often and must say that no Vegas trip is complete without a meal at Monta. There isn’t a single part of their bowl that I wouldn’t change nor improve. The noodles are a perfect firmness and the soup is like salty and rich velvet in your mouth. However, I must declare that my favorite part of their ramen is their pork – it melts in your mouth like butter and literally falls apart in between your chopsticks. I personally never eat pork in any other dish besides ramen because I simply just do not like it, but I could order their chashu by itself and eat it naked. In fact, they have a chashu bowl with just the pork over a fluffy, hot bed of rice. The next time you go to Vegas, be sure to step away from the busy strip and have a quiet and humble dinner at Monta. Will you be trying your first real bowl of ramen? Let me know in the comments below and don’t forget to subscribe to my newsletter for more food and travel.